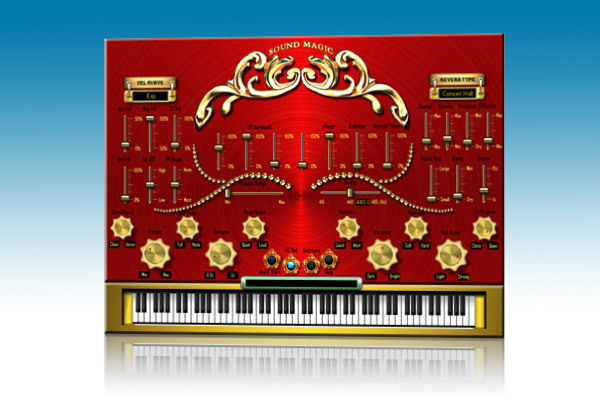 Imperial Grand, Virtual Electric Piano from Sound Magic. Sound Magic has released Imperial Grand for Windows in VST and Standalone formats. 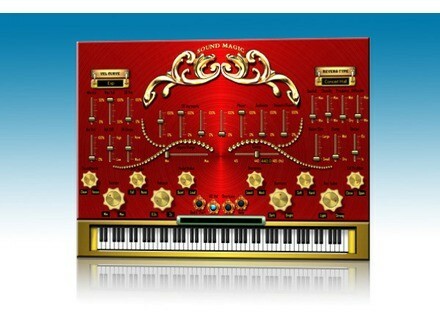 This is version 2.0 and was known as Imperial Grand3D during its 1.x lifetime. Imperial Grand starts with the "dark, rich Bosendorfer style sound," according to SM, and uses NEO Hybrid Modeling Engine coupled with Artificial Intelligence Assistant Tool. The Artificial Intelligence Assistant Tool (A.I in short) will auto test your keyboard and then use artificial intelligence to make suggestions. A.I will test your keyboard velocity response, pedal support and suggest ways to shape the sound that you are looking for. Imperial Grand supports Add-ons: You can choose over 10 different add-ons from online store for different usages. Add-ons are like a Swiss army knife that will make Imperial Grand fit for different situations or solves different problems, Sound Magic says. Add-ons are designed to add different special features to Imperial Grand. You can adjust hammer actions, microphone positions, sympathetic resonances, dynamics and more. You can also design your own piano. 264-string Sympathetic Resonance System designed to add harmonies to both pedal up and pedal down notes. Imperial Grand is able to detect repeated notes and activate True Staccato Mode which reproduces staccato notes. Built-in Reverb Engine designed to simulate resonances with environment and soundboard, adding extra realism to the sound. Actual modeling and soft pedal samples designed to present the sound of three kinds of pedals. Binary Bleeps Sampler App Binary Bleeps has released Sampler, an audio capture and performance instrument with motion-controlled pitch, filter, delay, and bit crusher effects. Imperfect Samples Steinway 1908 Walnut Concert Grand Imperfect Samples has released the Steinway 1908 Walnut Concert Grand, a 24 bit multi-sampled imperfect concert grand piano. Terry West Updates CS12 Master Channel Strip Terry West has released version 1.55 of CS-12M, a master channel strip effect plugin for Windows.